Brussels, Belgium and Cary, NC, USA, 19 May, 2016 — OUTLOOK™ Plus Latin America will return to Brazil for the second edition March 7-9, with a focus on hygiene, personal care and medical nonwovens. Organized by INDA and EDANA, a tabletop exhibition will also be offered for local and international companies to showcase their products and services. 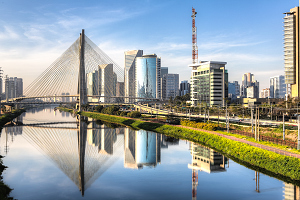 March 7 and 8 will focus on the latest developments in nonwovens for the Latin American and global absorbent hygiene and personal care products markets, and presenters will analyze trends in components and raw materials for those products. On March 9, additional highlights on medical nonwovens and their role in a healthy society will be addressed. Simultaneous translation in English, Portuguese, and Spanish will be provided during the conference. “OUTLOOK™ Plus Latin America provides the opportunities for members from both of our associations to better understand Latin American market needs, make valuable connections with senior leaders, showcase their products, and increase their business opportunities in this important and growing region of the world for hygiene and medical nonwovens,” said Dave Rousse, President of INDA. Tabletop exhibitions will be held on March 7- 8, and opportunities for participants to meet and network will be offered during the conference, and to registered delegates with evening cocktail events. 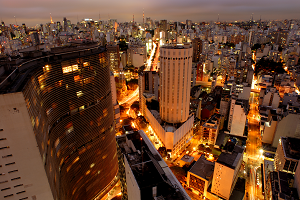 The inaugural event was held in São Paulo in March 2015, and attracted more than 250 attendees with participants declaring the first-ever Latin American event a success for their businesses. Additional information on the 2017 programme and registration will be announced shortly, and updated on the INDA and EDANA websites. ABINT, the Brazilian Technical Textiles and Nonwovens Association, is also supporting the event. EDANA serves more than 240 companies across 36 countries in the nonwovens and related industries, helping its members to design their future. The Association’s mission is to create the foundation for sustainable growth of the nonwovens and related industries through active promotion, education and dialogue. Information about services and upcoming events can be found at www.edana.org.